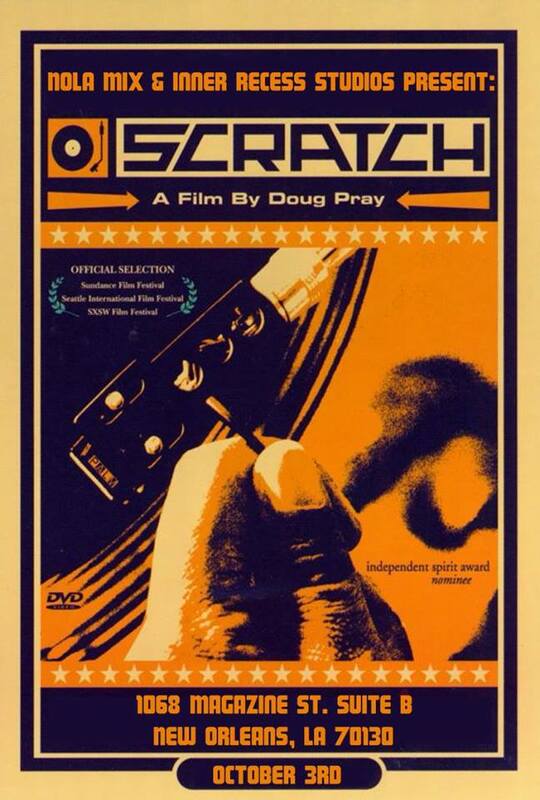 NOLA MIX and InnerRecess are screening SCRATCH, a film by Doug Pray on Thursday night. Following the film, DJ’s Yamin & Dubla will provide DJ instructions on “Scratching”, “Beat-Matching”, “Mixing” and more… No experience required. Adult beverages and popcorn available.